A rare opportunity has arisen to join our recently expanded Inflammatory Bowel Disease (IBD) team at Shrewsbury and Telford Hospital (SaTH) in the Infusion Service as a band 6 Sister. We are seeking a motivated, enthusiastic and dynamic nurse to join this fantastic team and we will give training to the right person to ensure that we deliver the best care and service for our patients. You will assist in the delivery of high quality IBD services throughout the Trust, working alongside other clinical colleagues to provide expert care, treatment and support for this patient group. This will include providing a seamless service to ensure patients receive their infusions in a timely and effective manner and working with the hospital at home team. You will contribute to advancing the body of knowledge through education, research and audit as well as developing practice. 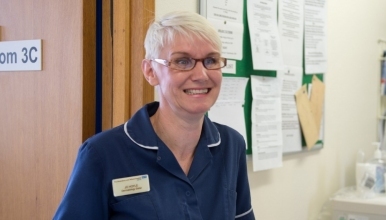 You will play a key role within the multidisciplinary team in order to ensure a seamless, co-ordinated and timely approach to care both with infusions in the department and by supporting the healthcare at home service. This post is advertised as a band 6 pending A4C, however, annex u training post would be considered for the right candidate. You would be supported to achieve competencies and to be part of the service redesign that we are about to embark upon to improve the timely and appropriate treatment for our patients. You will work closely with the IBD CNS and the consultants and pharmacy. You will also work closely with the ward teams ensuring they have protocols in place and providing education and support. The successful candidate will be passionate about patient care, have the ability to communicate at a high level and deliver care aligned to the Trust values.